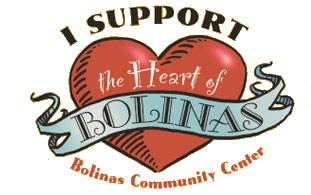 Bolinas, Please attend this coming BoCAN meeting at the Community Center Sunday Sept. 25th at 4pm. This meeting will be a little longer than usual because we have a lot of good updates for you and we will be joined by our two candidates for county supervisor! Seeing as this very important local election is just around the corner this will be an opportunity for both Dennis Rodoni and Dominic Grossi to hear about the current issues in Bolinas and to introduce themselves to the community. Please come listen to progress being made by and for our community as well as community expression and to get to know the candidates, and each other! !